Epiroc Mobilaris Mine Mangement System. Photo by Epiroc. Swedish engineering company Epiroc announced today that it will be supporting the work of Kimberley Ekapa Mining to help digitize the company’s Kimberley underground mine, located South Africa’s Kimberley town and whose yearly production reached 755,645 carats in June 2018. In detail, Kimberley Ekapa wants to implement Epiroc’s Mobilaris Mining Intelligence, known as MMI, to enable situational awareness, something that will allow the company to oversee every sector of its mining operations and track assets in real-time. The system is also designed to allow for the integration and visualization of machine data and machine location. Since the system has an open architecture, Epiroc says it will be able to compile information from other systems already in place at Kimberley Ekapa’s operations and make all information searchable and accessible in real time. “MMI will help us start to modernize our old diamond mine and be the tipping point in terms of production optimisation,” said Howard Marsden, General Manager of Kimberley Ekapa Mining, in a media statement. 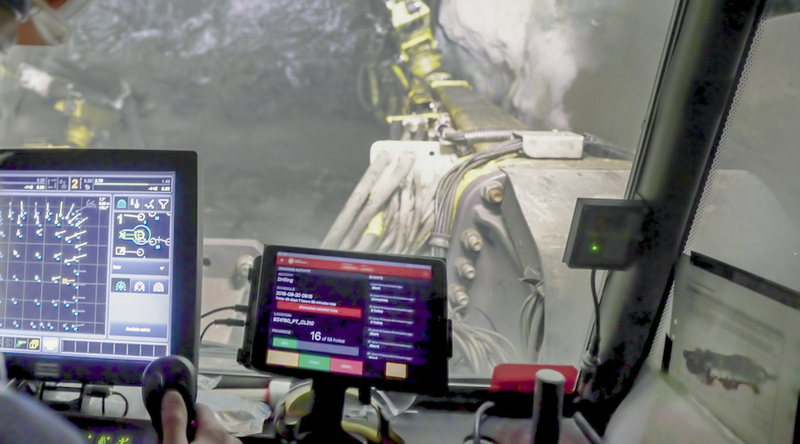 “It will allow us to tag and keep better track of our mining personnel and equipment and give us access to real-time data, which will shed some light into the normally dark world of the underground mine. We expect this is to be productivity game changer”.